The Honda Jazz has been named Most Reliable Small Car in What Car? magazine's 2017 Reliability Survey, with the owners of the popular supermini reporting no faults with their car. No faults? Hmmm. My door mirror switch is getting worse. I'm going to have to ask them to replace it at my next service. Assuming it can last until February. And of course the winter starting problems are off-putting. I have to agree with the survey. None of my 4 new Jazzes had a problem! Unlike my HR-V, which was delivered with an empty washer bottle. And Hondas never have an empty washer bottle warning. Nissans do. Has your car actually failed to start, (apart from self inflicted flooding) as in call the AA? Or does it just give the odd stutter when starting? Is it really winter down there? Nope. I've written before that it only occasionally fails to start first time and has always sounded eager on the second attempt. That's why I haven't tried to pursue it further with the dealer. It's not something I would expect from any modern fuel injected vehicle. It's a fault but not a serious one. And no, winter isn't here yet. It's autumnal but not yet wintry. That's probably why at the moment the symptoms aren't too bad. The depths of winter have arrived! Frosty and 2.3°C when I got up this morning (now 3.2°C). The frost has melted and the Jazz started as normal without a flinch. I woke up this morning to a frosty car. didn't give it a thought that it wouldn't start just where is the scraper / deicer? 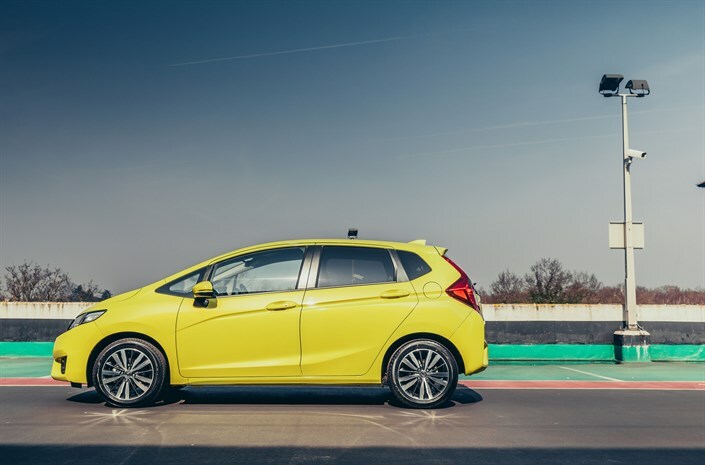 I'm always sceptical about statements like "Not one Honda Jazz owner who completed the survey reported any faults with their car" because they don't tell you how many people that was and whether that's statistically significant. It also depends on how they define a "fault" (eg is something that doesn't work as per the sales brochure, such as Mirrorlink, actually a fault ?). 1. Defective software in the Connect Infotainment unit. It took Honda over a year of trying different software updates to fix that. 2. Replacement transmission mount to correct creaking noise when moving off. I've NEVER had to have that sort of thing replaced on any car before. Neither of those are one-offs, there are others in this forum who've had them. Not what I expected given Honda's reputation and pre-purchase reading of previous surveys like the What Car? one. All fixed under warranty of course, maybe there won't be any more teething troubles. Maybe. I think reliability in its most widespread meaning means 'has not left you stranded or suffered a failure that rendered the vehicle unusable. Things like a glitch in the infotainment don't figure on most peoples understanding of reliability. My Bro-in-laws nearly new Volvo V40 has left him well and truly stranded on at least 6 occasions when the dash lit up like the flight deck of the Starship Enterprise and every single fault light came on, once he could not stop the engine and the other 5 times it stopped during different journeys several times at traffic lights - a great place to break down, when they went on holiday in it they ended up with a Nissan Joke as a courtesy car for most of the week while their Volvo was in local dealer garage in Bournemouth or Hastings. He is happy that he can change the colour of the interior LED lighting and that there is a handy place to put his mobile - after being let down like that I would have ditched it quick-smart, but 'style-over-substance' seems to fit. After my wife having experienced the reliability of a Fiat Punto a few years ago (comfortable and quite stylish, but I have seen cheap Chinese made kids bicycles with better build quality) she is more than happy that her subsequent Jazzes have never let her down, and neither have my Civics and Jazzes. My sister-in-law used to get French cars for their style, but rarely kept them long because of problems, she has been driving a Civic for about 10 years now, my brother complains that 'there is nothing to do on the car' except change the oil every so often, now that is reliability. Like many Honda Owners I never give a moments thought that it may not start or fail to get me where I want to go, and noisy wheel bearings and gearbox are not a reliability issue as such, they are annoying but won't stop you getting to where you need to be. I have had dealings with FIATs over the years, and although I enjoyed driving them, they were a heap of rubbish in terms of reliability and corrosion resistance. When I worked for Arnold Clark, and was in and out of the FIAT garage on a twice daily basis, there was always one sitting at the electrician's workstation with the entire dashboard in pieces (like a bomb had gone off), so I think the electrics were a bit iffy as well. I must say, the only time my Volvo let me down, in the nine and a half years I had that, was due to a battery failure. Mind you, it was a pre-Ford Mondeo Volvo. I think reliability in its most widespread meaning means 'has not left you stranded or suffered a failure that rendered the vehicle unusable. It might for some people (especially those old enough to remember 1970s and 80s vehicles and in the case of BL cars even seeing it still standing in the morning was probably considered good ). But the only 'non-Japanese' cars I've owned were ageing BL/AR cars which were pretty much end of life as would be expected from someone's first motor purchase. After a few years of work I switched to buying Japanese marques and consequently my definition of reliable is: Has nothing wrong with it for the duration of the warranty period. My Jazz has a gradually worsening problem with the door mirror switch. The infotainment unit annoyed me for over six months before it was finally fixed (and the dealer seemed disinterested and without a clue). The engine has some kind of issue - no way should a unit built by Honda be struggling to start after spending the night in a garage, and the previous models never did. I don't regret buying my Jazz but it has been the least reliable vehicle I have bought since my second Nissan Sunny back in the mid 90s and that was a second-hand model. It's simply not good enough and will definitely be influencing my next purchasing decision in around 18 months time. The only thing currently 'tying' me to the Jazz is the CVT but even there Honda screwed it up by implementing the Atkinson cycle engine and removing the lovely smooth and predictable power take up. I think reliability in its most widespread meaning means 'has not left you stranded or suffered a failure that rendered the vehicle unusable. Things like a glitch in the infotainment don't figure on most peoples understanding of reliability. I don't think that's what the What Car? survey is all about. They appear to have asked people to report faults, and from those data they've drawn a conclusion about reliability: they haven't actually explained how they've done that or what they mean by "reliability". The categorisation of those faults ("These were classified into 14 groups: battery, bodywork, brakes, engine electrics, exhaust, exterior lights, fuel system, gearbox/clutch, interior trim, non-engine electrics, steering, suspension and other. ") clearly includes things that you would probably regard as trivial because they would not affect the car's mobility. But to me, a "fault" is something that doesn't work properly or requires warranty attention even though it might not affect mobility, so the two things I mentioned are most definitely faults that I would report if participating in any such survey. I think the WhatCar? surveys mostly use bulk data from fleet operators including Motability which is probably the biggest single source they have. Individual responses carry less weight due to confirmation bias where people are less likely to criticise their purchasing choices.